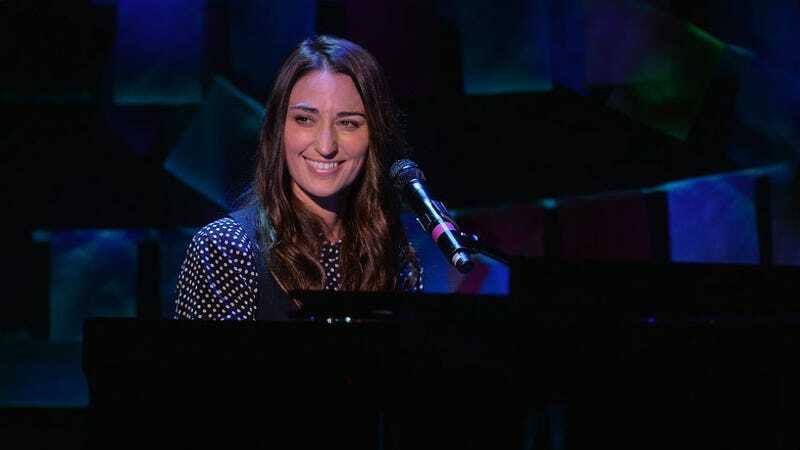 Sara Bareilles is scoring a new musical based on the movie Waitress. If you are like me, this is the combination of two of your favorite things and you want to scream like Oprah Winfrey right now. According to Billboard, Waitress begins in August at the American Repertory Theater in Cambridge, Massachusetts. The cast will be directed by Diane Paulus who also guided Pippin and Finding Neverland. Waitress originally debuted in 2007 and followed a woman who was a genius at making pie but married to an abusive loser so controlling that when she became pregnant, she didn't want her baby... until she met her OBGYN and had an affair that changed her perspective and her life. The kitschy indie film, co-starring Cheryl Hines, Jeremy Sisto and Andy Griffith, was a vehicle for actress Keri Russell to stretch her talent after leading the coming-of-age television drama, Felicity. Waitress was great the first time and now with Sara's music, I'm thrilled. The Boston Herald's racism aside, I'm trudging up to Cambridge to see this and hopefully there will be pie.